In a borough that has become a globally recognized icon of cool, residents are watching the renaissance with resentment and indifference. On a rainy mid-December night, transit union president John Samuelsen led hundreds of chanting, whistle-blowing workers on a head-turning march through lower Manhattan. Brooklyn Teen Busted on Assault Charges After Snowball Barrage. Thinking about throwing a snow ball this weekend? Look at what the consequences could be. 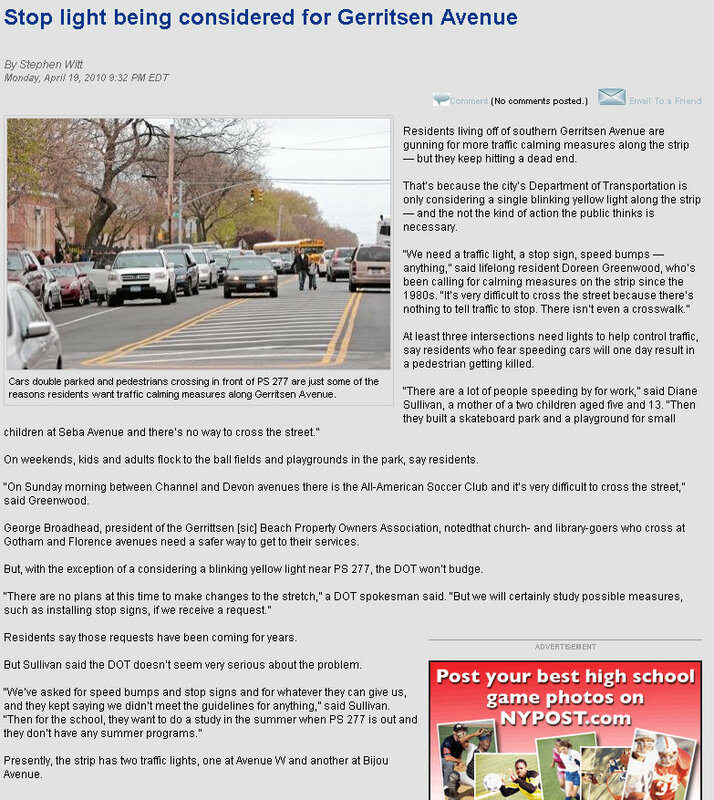 The Gerritsen Beach Property Owner’s Association closed its normally public monthly meeting to the press and non-members last week, making good on a promise it made in the wake of a local blogger’s unflattering coverage of the neighborhood. According to a follow up story from Courier Life, Lacon Court is still a mess. Residents say the folks running the marina at Lacon Court in Gerritsen Beach are still illegally dumping fill and garbage on the filthy site — which the state ordered to be cleaned up by Nov. 6. The NYPost is reporting that the brand new bus shelters that CemUSA is installing all over the city are spontaneously shattering! They suspect that cemusa is incorrectly using a 2.75-inch bolt instead of a 3.5-inch bolt which would make the unit more secure. Gimme shelter from that bus shelter! A 26-year-old Gerritsen Beach resident had his arm and chest slashed open as he fought off two â€œacquaintancesâ€ on Celeste Court. The victim said that he was walking down Celeste Court on his way home at 6:50 p.m. on January 11 when a car rolled up.